Salon and at-home dye treatments lighten your hair in a hurry, but the results may not look as natural as you'd like. Dye also contains harsh chemicals that can damage your hair. If you prefer a more gentle, subtle effect, use lemon juice and the power of the sun to lighten your tresses. This lightening trick works best if you already have blond or light-colored hair. 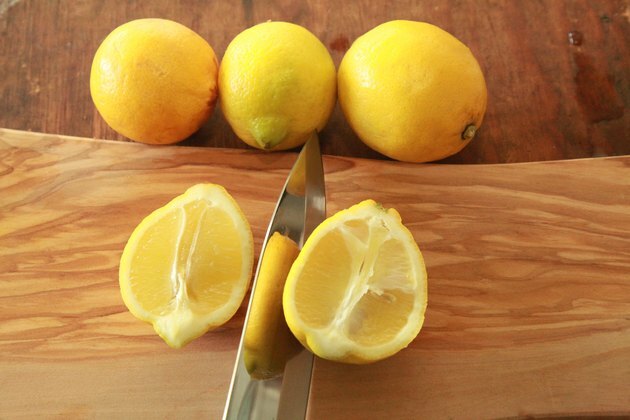 Cut a large lemon into slices, then squeeze 1/2 cup of the juice into a bowl. 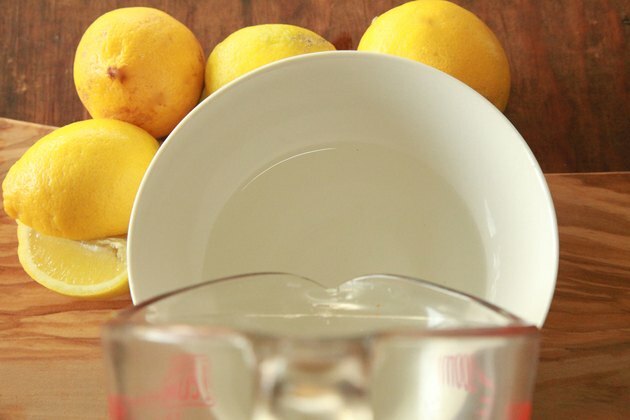 Combine the lemon juice with 2 cups of water. Mix well. 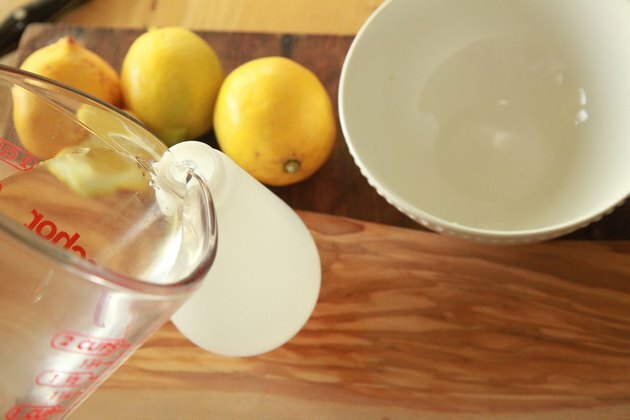 Fill a spray bottle with some of the lemon-water mixture. Mist your hair with the lemon water, but do not spray it directly on your scalp. 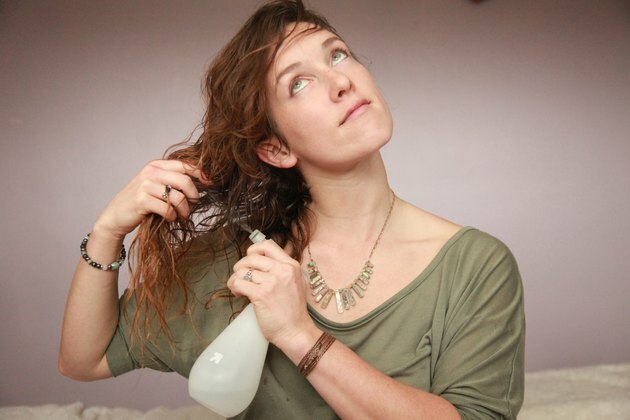 For total coverage, spray your hair all over. To do highlights, only spray a few sections of hair. 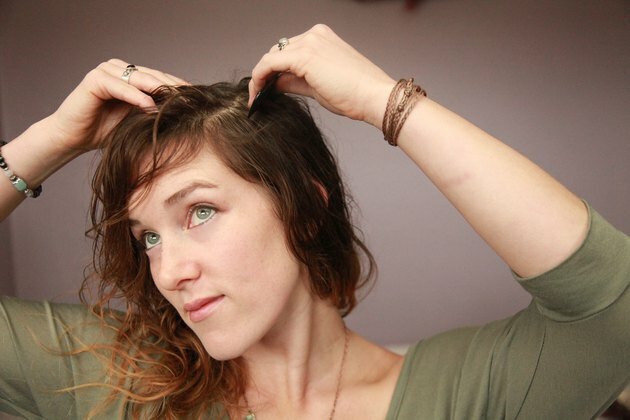 Use a comb or brush to work the lemon juice through your hair. Sit outside in the sun until your hair is as light as you'd like. Certain herbs and plants may lighten blond hair or help you maintain its color. These plants include calendula, cornflower, tumeric, yarrow, chamomile and red clover. Rosemary, sage, nettle and elderberry may darken hair, so avoid them if you're trying to stay blond. After applying the lemon juice to your hair, blow it dry with hot air from a hair dryer instead of sitting in the sun. The heat interacts with the lemon juice, causing hair to lighten. If you have dark-colored hair, this lightening trick will give your locks caramel highlights. Apply sunscreen to any exposed skin before heading outside to protect yourself from burns. If possible, wear long-sleeved shirts, pants and shoes to shield your skin from the sun. The sun can damage and burn your skin, even if you're wearing sunscreen, so limit your exposure.